She says her current job is broader than she ever thought it would be. In the lab, she uses genomics and systems biology to try to understand how cells sense stressful situations in their external environment and then mount a response to that stress. Some of her research works to understand the fundamentals of cell function and other parts investigate how to produce sustainable biofuels from plant material in a more applied fashion. She performs this applied research as part of the Great Lakes Bioenergy Research Center (GLBRC) housed in the UW–Madison Energy Institute. The diversity and interdisciplinarity of her of research excites her. Along with her research, Gasch is highly involved in teaching and education as the director of the Genetics Training Program. She says she does a lot of thinking about the best ways to train students and foster a great training environment for diverse groups. Lastly, she also works in science outreach. For example, she works to build networks between schools or community centers and scientists to eliminate barriers that keep scientists from volunteering. One is called Family Science Nights, which aims to bring hands-on science activities into local K-12 schools and community centers to promote science exploration for kids and families. She adds that the goal of her work — whether that be her research, teaching, or outreach — is to have an impact on somebody or something. While at UW–Madison she’s earned several awards for her work, including a university H.I. Romnes Faculty Fellowship, a CALS Pound Research Award, and the NSF CAREER and Beckman awards. 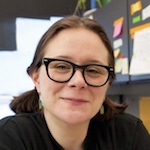 Most recently she received a 2018 Vilas Faculty Mid-Career Award.